The domestic tourism trade was out in force recently – exploring the best of England, Ireland, Scotland and Wales at the British Tourism & Travel Show. The largest domestic tourism showcase of the year, the 2016 edition welcomed 2,581 attendees (up 10% on 2015) from across the UK and Ireland. Over 260 leading visitor attractions, venues, destinations, hotels, transport providers, associations and DMOs were exhibiting at the NEC Birmingham on 16-17 March. Many of the biggest tour operators and travel organisers were in attendance over the two days – including Acorne, Albatross Travel Group, Alfa Travel, Bakers Dolphin Coach Travel, British Airways Holidays, David Urquhart Travel, easy-breaks.com, GB Tours, Gold Crest Holidays, Great Rail Journeys, JAC Travel, Johnsons Coach Travel, Kuoni Group Travel Experts, Marchants Coaches, Miki Travel, National Holidays, Newmarket Holidays, Rondo Travel, Saga Holidays, Shearings Holidays, Thomas Cook, Titan Travel, Travelzoo, Virgin Experience Days, Voyage Privé, and Woods Travel. “Once again the British Tourism & Travel Show was a really useful day, a fantastic opportunity to research emerging trends and learn about exciting new products. It’s also great to catch up with many of our partners and contacts. What always strikes me is the attitude of the exhibitors, they are always so enthusiastic,” says Tim Burghes, senior buyer at Virgin Experience Days. “Working in travel is, for me, always about meeting people face-to-face, being inspired and finding compelling new destinations for our customers, which is why this year’s event was such a great success. It afforded me the opportunity to begin exciting new partnerships and develop even stronger relationships with current suppliers. On a personal note, as an avid fan of Great British Railway Journeys, the appearance of Michael Portillo was a thoroughly entertaining highlight for me and, no doubt, the ‘packed house’ of travel trade colleagues that were also listening intently!” says Neil Cron, UK & Ireland product manager at Saga Holidays. 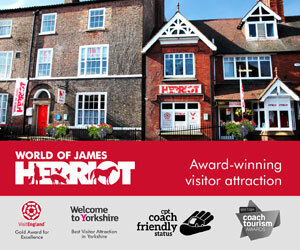 “It was my first visit to the British Tourism & Travel show and it exceeded my expectations. There was so much enthusiasm from everyone that we met – it was one of the most engaging travel shows I have attended. I came away with some great ideas for new products and many exciting contacts,” says Jayne White, product manager at Titan Travel. 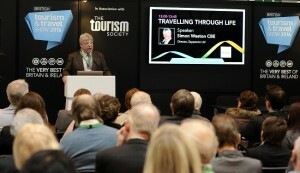 “British Tourism & Travel Show is without doubt the best trade show in the calendar. As usual, it was an extremely productive, entertaining and enjoyable two days,” says Gary Lloyd, tours manager at Marchants Coaches. “Great day spent at the show doing business. 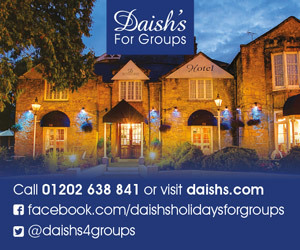 It’s perfect for seeing everyone in the one place,” says Emma McMillan, groups manager at David Urquhart Travel. 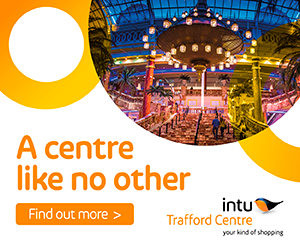 “It’s my favourite travel trade show, where I get to network with colleagues old and new – there’s always such a great mix of attractions and suppliers. Each year I visit, I come back to the office enthused, and with new ideas for different tours for the following season,” says Denise Hanson, proprietor of Hanson Exclusives escorted holidays. From coastal retreats to country farm parks, from historic houses and villages to big city attractions, this year’s show features crossed the length and breadth of Britain and Ireland. Highlights included VisitEngland’s new ‘Year of the English Garden’ area; The London Zone, supported by London & Partners (also new); Hotel Lobby; Tourism South East; Visit Wales – showcasing its 2016 ‘Year of Adventure’ campaign; Visit Scotland – celebrating its Year of Innovation, Architecture and Design; and Tourism Ireland – promoting Ireland’s Ancient East and Northern Ireland’s Year of Food and Drink initiative. The Tourism Society, Coach Tourism Council, Confederation of Passenger Transport, ETOA European Tourism Association, British Guild of Tourist Guides, and Tourism for All (TFA) also featured prominently across the show floor. “This year’s show went very well and we had more visitors to the Tourism Society stand than in the past. The level of interest was high and we were able to make some very good new business contacts,” says Gregory Yeoman, executive director of Tourism Society. The significant surge in visitor numbers has led many exhibiting companies to hail the 2016 show – as one of its most successful to date. As a result, 60% of exhibitors have rebooked for 2017. To view the full 2016 exhibitor list, please visit www.tourismshow.co.uk/who-exhibits. This year’s extensive free seminar line-up boasted a host of engaging big name speakers discussing the key issues, opportunities and hot topics facing the domestic tourism sector today. Former MP and cabinet minister Michael Portillo (presenter of the BBC travel documentary series Great British Railway Journeys), Countryfile presenter Adam Henson (owner of Cotswold Farm Park), and British Army veteran Simon Weston CBE each drew capacity crowds. “Our tourism in this country is extraordinary – we’ve got an amazing industry, with millions of visitors coming over to visit Britain. We have a lot to showcase and a lot to sell, and this is what today [at British Tourism & Travel Show] is all about. 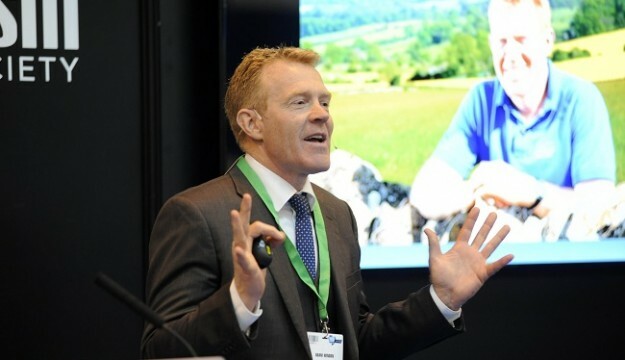 We have brilliant leaders in this industry who are doing a great job,” said Adam Henson during his session ‘My life on the land’. “What I learned, as I progressively got better, was the more I wanted to do things, the more I wanted to travel, the more difficult it was going to be, because back then, 30 years ago, not that many people were aware, or even cared how difficult it was for people to get around, or whether people had the right type of kit in the hotel room,” said Simon Weston, during his session ‘Travelling through life’, which included insights into the importance and growth of the accessible travel market. His frustrations with finding accurate and reliable travel information led him to become a director of Zappawoo – a new, online, accessible travel retailer. “We [Zappawoo] advertise the right type of product on our site that gives people the option to enjoy the best experience they can with their families when they go away. That’s all it’s about, I think everybody here hopes to do exactly the same thing for each person they come into contact with – to provide the best of what’s available,” said Weston. “Tourism is the UK’s fifth largest industry, third largest employer, worth £127 billion to the economy, and the second largest industry in each parliamentary constituency” – said Bernard Donoghue, chairman of the Tourism Alliance and director of Association of Leading Visitor Attractions (ALVA), in his opening prologue to this year’s Tourism Society’s Question Time session. “We have come a long way to make sure politicians really appreciate the importance, value and dynamic energy of tourism across the UK, both international and inbound, but domestic as well,” he added, before introducing an exclusive video featuring The Rt Hon David Evennett MP, Minister for Tourism, Conservative MP for Bexleyheath and Crayford, and Government Whip. Panellists for the Tourism Society session included Mari Stevens, director of Marketing at Visit Wales; Gordon Innes, CEO of London & Partners; Vanessa Markey, head of Great Britain at Tourism Ireland; and Steve Brown, chairman of the National Trust’s Midlands Region Advisory Board. Topics under discussion included the 2016 Budget; the need for increased investment in infrastructure; the competitive advantages of more collective collaboration between London, and the UK and Ireland’s regional and national tourism organisation; and the referendum on Britain’s membership of the European Union (the biggest benefits to tourism of staying in and the impact to coming out). With around one in five visitors responsible for organising ‘group travel’, the pleasures (and pains) of facilitating group visits was the key focus for the panellists of Hudson’s ‘heritage attractions’ session. It featured Ian Lacey, marketing and travel trade manager (visitor services team) at the Houses of Parliament – one of the UK’s top ten attractions; Nick Moorhouse, director of operations at Hatfield House (one of the Treasure Houses of England); and Ray Biggs, access manager at Grimsthorpe & Drummond Castle Trust. “Last year 73% of adults in the UK visited a heritage site at least once in the course of the year. There’s absolutely no question that heritage is one of the most important interests for every Briton,” said the session’s chair Sarah Greenford, publisher of Hudson’s Historic Houses & Gardens. “We know we are part of a growth industry in heritage tourism, and that heritage underpins the whole tourism platform in the UK,” she said. British Tourism & Travel Show 2016 also saw the launch of the first ever BTTS Industry Snapshot survey. Completed both before and during the show by a representative sample of 120 exhibitors and visitors, including tour operators, DMOs, visitor attractions, destinations and hotels, the findings provide a ‘snapshot’ of how the domestic tourism sector has fared over the last 12 months and their predictions for what’s in store for 2017. The full results, revealed today, paint a distinctly positive picture of a buoyant domestic tourism market, which is enthusiastically upbeat about the opportunities for growth ahead – with visitor bookings on the rise (around 15% on average) and consumer spending set to improve further over the next twelve months. Indeed, confidence in the market is such that a significant 90% of all respondents are either fairly or very optimistic about the future of the domestic tourism trade (62% and 28% respectively). Looking specifically at visitor numbers and types, 66% of respondents cited increases in visitors over the last year, with destinations and attractions reporting a 25% and 18% growth respectively. Bookings by seniors, international visitors, families, luxury travellers were also up. As one may expect, experience, cost and location (in that order) top the list of the three main factors their customers consider when booking an outing or trip. Although cost pips experience for tour operators and hotel/accommodation providers. Culture, family friendly and accessibility are next down the list. Key trends emerging within the market, include an increase in staycations; a greater focus on millennials; further developments in digital tourism; more demand for ‘unique’ travel experiences; increased demand for single rooms; visitors taking shorter, more frequent trips; and growth in accessible tourism. To view a pdf version of the full survey results, please visit www.tourismshow.co.uk/wp-content/uploads/BTTS-Industry-Snapshot-Survey-2016-1.pdf. British Tourism & Travel Show returns to the NEC Birmingham on 22-23 March 2017. 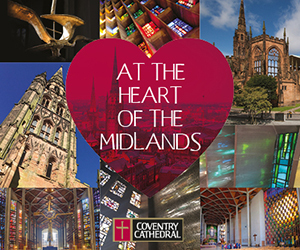 For further information, please visit www.tourismshow.co.uk.